To allow this delicate area of the face to preserve the natural freshness and elasticity of the tissues, it is crucial to provide the skin with suitable moisturisation, as well as contain evaporation and promote the physiological production of Collagen. 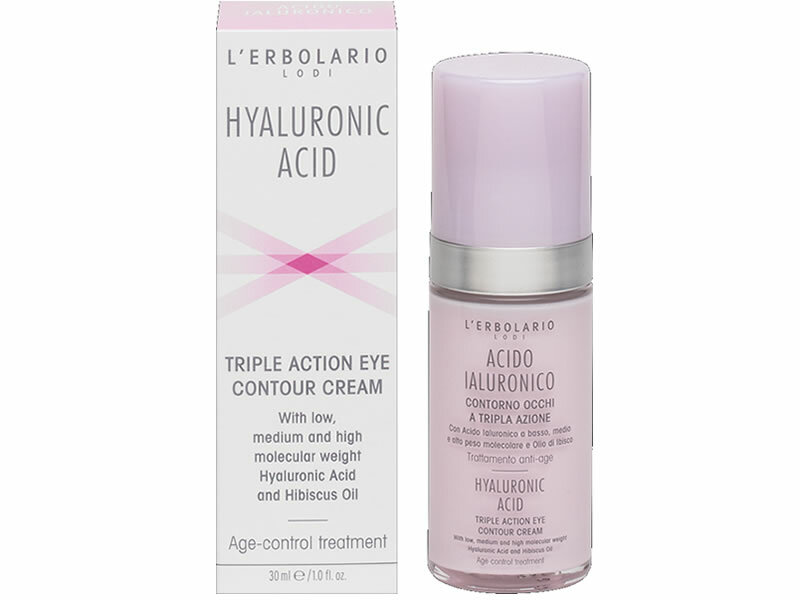 Three distinct and beneficial actions offered by Hyaluronic Acid, contained in the formulation with three different molecular weights, boosted by three noble oils: Hibiscus, Babassu and Olive, which are nourishing and elasticising. The eye contour area appears smoother and less marked by expression lines, significantly more radiant and softer to the touch. Apply to the eye contour area and with a very gentle, delicate massage, let it absorb completely. Functional substances Low, medium and high molecular weight Hyaluronic Acid, Hibiscus Seed and Babassu Oil, unsaponifiable Fraction of Olive Oil, Vitamin E from Soybean Perfume-free.